The first successful high energy density Kelvin-Helmholtz (KH) shear layer experiments (O.A. Hurricane et al. in Phys. Plasmas, 16:056305, 2009; E.C. Harding et al. in Phys. Rev. Lett., 103:045005, 2009) demonstrated the ability to design and field a target that produces, in a controlled fashion, an array of large diagnosable KH vortices. Data from these experiments vividly showed the complete evolution of large (∼400 μm) distinct eddies, from formation to apparent turbulent break-up in the span of about 75 ns. A second set of experiments, in which the density of a key carbon-foam material was varied, was recently performed. The new series showed a great deal of fine-structure that was not as apparent as in the original experiments. In this paper, the results of both experiments will be discussed along with supporting theory and simulation. An attempt is made to connect these observations with some turbulent scale-lengths. 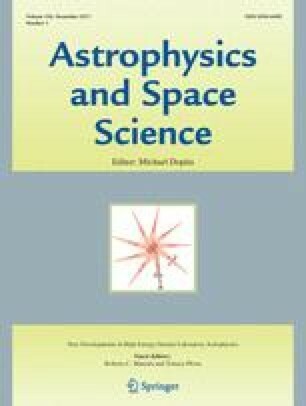 Finally, we speculate about the possible connection of these experiments to astrophysical contexts.